On Thursday March 8, 2018, the Union for Affordable Cancer Treatment delivered the following testimony at the hearing for the 2018 Special 301 list. The testimony was delivered by Dr. Manon Ress. To see previous UACT written submissions and testimonies to the Special 301 review process, please visit our page on our work concerning the Office of the US Trade Representative. My name is Manon Ress. I am speaking today on behalf of the Union for Affordable Cancer Treatment, which filed comments in this docket on February 6, 2018. 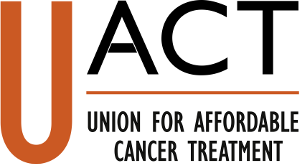 The Union for Affordable Cancer Treatment (UACT), created in 2014, is concerned about the rapidly escalating costs of cancer medication in the US and globally, and we are committed to universal access to new technologies at affordable prices. The “Administration’s aggressive efforts to defend Americans from harmful IP-related trade barriers” means, in plain language, in regards to new drugs, vaccines and diagnostic technologies, higher prices. Higher prices mean several things for patients, which is just another word for people, people who are injured or have a disease or condition that requires a treatment that involves a new drug. Higher prices mean that many people, and indeed most people who need a new drug, won’t have access. And those who do may face financial hardships, a financial calamity coming on top of medical calamity. That’s what PhRMA wants from you. They want you to use “all possible sources of leverage” to make drug prices higher. They want you to create a political landscape where countries like Colombia, Chile, Peru, Thailand, Brazil, Malaysia, Indonesia, South Africa, India and even the Netherlands do not use lawful compulsory licenses to address excessive pricing on new drugs. You are supposed to be the defenders of the unfettered monopolies on life saving technologies. If you succeed, people will die, and people will suffer, and health care budgets will waste scarce resources on over-priced medicines. UACT is opposed to this approach. UACT does not want USTR to put patents before patients, or drug companies before people. UACT is also committed to robust innovation, and we know that this depends upon access to knowledge and both public and private sector investments in R&D. Because UACT favors both innovation and access, we support efforts in the U.S Congress and around the world to reform our system of financing medical innovation. We want governments, including the United States, to progressively delink the incentives to invest in R&D from the prices of products. We also want the global negotiations on innovation to stop focusing solely on private sector incentives, like patent monopolies. In creating global norms on R&D funding, governments need to embrace more inclusive approaches, that recognize the value and importance of public sector investments in biomedical R&D. The United States is a world leader in public sector funding of R&D, through such agencies as the NIH, BARDA, the National Sciences Foundation, the Departments of Defense, Veterans Affairs, and Energy. USTR should be encouraging other governments to step up their public sector funding of biomedical R&D, including most importantly the elements that become public goods, advancing medical science. UACT is concerned about people living in foreign countries, including the billions of persons, the majority of the world population, living in developing countries. Many Americans have little idea what high drug prices mean for a country with a per capita income that is one fifth or one tenth of the United States. In 2016, the United States had a per capita income of $56,810. Malaysia had a per capita income of $9,860, just 17 percent of the U.S. Colombia’s per capita income was $6,310, 11 percent of the U.S. India had a per capita income of $1,670, less than 3 percent of the U.S. And for the bottom 80 percent of the populations in these countries, things are much worse. If you target these countries over drug prices, you are going to kill poor people. But concern for people living outside the United States is not our only concern. I live right here. I’m a cancer patient, alive because of an effective new drug that is extremely expensive. I am in touch with other cancer patients. We are all living in fear we will lose our insurance, be forced to pay 20 percent of the cost of drugs, that can cost more than $150,000 per year, or be denied coverage because a drug is off-label or off formulary, or because of other real barriers to reimbursement and access. The United States needs to curb excessive prices on drugs. If you force every other country to abandon the means of doing so, you lock the United States into an expensive and unsustainable system that we can’t afford and which is hurting us more than many will admit.